Come Explore, Discover, Enjoy. Completely guided from beginning to end, we will show you the Biggest Attractions in Washington with a Featured Event: The Cherry Blossom Parade included – from reserved seats. A beautiful springtime event at a great price. Day 1 – Washington DC – Cherry Blossom Memorials Stroll – On arrival this afternoon in Washington DC, you meet a local guide for a Cherry Blossom Memorials Stroll. You will make stops at the following monuments: The Franklin D. Roosevelt Memorial, the Martin Luther King, Jr. National Memorial, The Jefferson Memorial, the Vietnam Veterans Memorial, the Lincoln Memorial and the Korean War Veterans Memorial. Tonight, dinner is included at a local restaurant. Then you check into your Washington DC area hotel for a three night stay. Day 2 – Capitol Hill Touring – Illuminated Monuments Tour – Meet your local guide this morning and start the day with a visit to the Capitol Visitor Center. At nearly 580,000 square feet, the CVC is the largest project in the Capitol’s 215-year history and is approximately three quarters the size of the Capitol itself. The entire facility is located underground on the east side of the Capitol so as not to detract from the appearance of the Capitol. Features include an exhibition gallery highlighting the House & Senate while in-session, orientation theaters and a 550-seat cafeteria. Then you visit the United States Capitol (pending availability) the most recognized symbol of democratic government in the world. The U. S. Capitol has housed Congress since 1800 and is one of the most imposing public buildings in the world. Next, your guide will lead you on a tour of the Supreme Court Building (outside only). Within the walls of this white marble monument the third branch of government exercises its mandate to protect and interpret the spirit of the Constitution. The afternoon features a visit to Arlington National Cemetery. Visit the final resting place for President John F. Kennedy, Jacqueline Kennedy Onassis, Audie Murphy, prizefighter Joe Louis, and thousands of soldiers from every major U.S. war. Transportation tickets are included with your visit. You also stop at the Marine Corps Memorial (Iwo Jima) and the Air Force Memorial. Iwo Jima is one of the largest bronze statues ever cast depicts the American Flag being raised on Mount Suribachi during World War II and commemorates all Marines who have died in battle since 1775. The redesigned Air Force Memorial is both BOLD and graceful and truly representational of the Air Force. Central to the design are three stainless steel spires which soar skyward. Dinner is included this evening at a local restaurant. Following dinner, you enjoy an Illuminated Monument Driving Tour. Washington’s grand buildings, memorials, and monuments sparkle during the day, but in the evening they are illuminated, soft, focusing the solid stones and bronzes. Fountains and water features shimmer in reflection, shadows darken highlighting the floodlit detail. Monuments and Memorials you will see include: the Pentagon 9/11 Memorial Park, The Marine Corps Memorial (Iwo Jima), the Air Force Memorial, the Washington Monument, the National World War II Memorial and more if time permits. Day 3 – Cherry Blossom Parade – Embassy Row – Hillwood Estate – This morning, you enjoy the Cherry Blossom Parade from your reserved Grand Stand Seating. The Cherry Blossom Festival marks the celebration of the original gift of the 3,000 cherry trees by the city of Tokyo to the people of Washington, DC in 1912. The celebration includes a massive parade, which navigates down Constitution Avenue from 7th Street towards the Tidal Basin where a queen of the festival is crowned. Along with the parade are several free concerts on the Mall, lantern lighting, dances and races. Following the parade, you visit the Smithsonian National Portrait Gallery and experience portraiture beyond the frame. Collections present people of remarkable character and achievement: American artists, politicians, scientists, inventors, activists, presidents, poets, performers, leaders, rebels, artists, visionaries and entrepreneurs whose prominent personalities shaped our culture and tell the diverse story of America. Through the visual arts, performing arts, and new media, the Portrait Gallery presents lives that form our national identity. Next, you drive down Embassy Row. After the Civil War, the powerful and socially elite built large mansions along Massachusetts Ave. After the Great Depression, many of the families who built these homes went broke. Today, the area is known as Embassy Row. Embassies, associations, foundations, and clubs have claimed and restored these lovely homes. You will also drive by the Washington National Cathedral. In a city of impressive monuments, memorials, and historic sites, the National Cathedral is unique. Standing higher than the Washington Monument, it is the sixth largest church in the world. This 14th-Century-style Gothic wonder is situated on 57 acres and took 83 years to build. Helen Keller and Woodrow Wilson, the only President buried within Washington, DC, are interred here. It is a living symbol of our country’s heritage of faith and religious freedom. The afternoon also features a tour of the Hillwood Estate, Museum & Gardens. The mansion is the former home of cereal heiress Marjorie Merriweather Post and features one of the most comprehensive collections of eighteenth and nineteenth-century Russian Imperial art outside of Russia, as well as an extensive collection of eighteenth-century French decorative arts. Highlights include a diamond crown worn by Empress Alexandra at her marriage to Nicholas II; Beauvais tapestries designed by François Boucher; two Imperial Easter eggs by Carl Fabergé; La Nuit by William-Adolphe Bouguereau; and a collection of costumes and accessories worn by Mrs. Post or her family. The greenhouse and formal gardens are set among 25 acres of wooded hillsides located in the heart of Washington, D.C.
Tonight, dinner is included at a local restaurant. Day 4 – Smithsonian Museums – Depart for Home – The morning is yours to visit the Smithsonian Museums of your choice. You may want to visit the NEW National Museum of African American History and Culture, the National Museum of American History, the National Air & Space Museum, National Air & Space Museum, National Museum of Natural History, the National Museum of the American Indian, or the Hirshhorn Museum and Sculpture Gardens. You then depart for home this afternoon. 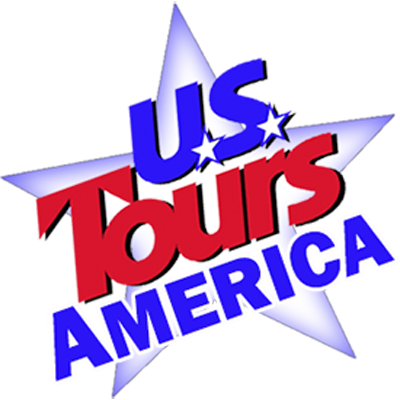 This tour is produced and marketed with our Partner, Mid-Atlantic Receptive Services.